We, as a company, must set the customers’ needs as our highest priority. We must provide reliable, efficient, and cost-effective services with continuous improvement of process and promote a positive and safe work environment for all our Associates. Established in the state of California, Komyo America began its journey of revolutionizing the logistics world in May 2002. 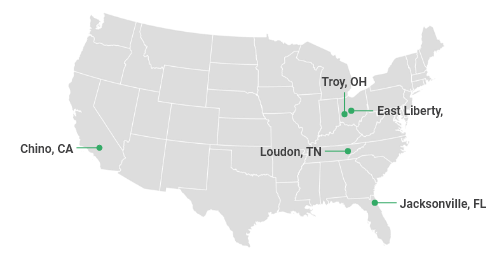 For nearly 20 years, Komyo Logistics has built a strong reputation as an industry leader in quality logistics systems across the U.S. With locations in California, Ohio, Florida and Tennessee, Komyo is proudly home to over 650 associates. 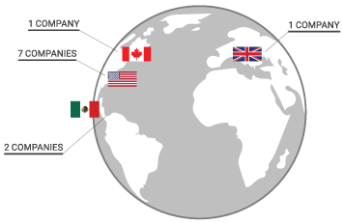 Our systems are held to the highest standards—standards that are far above industry average—because we firmly follow the philosophies inherited from our parent company, Honda Logistics North America, Inc.
As part of our company culture, Komyo believes that excellence starts by accepting responsibility for every part and every level of our system. Whether it is security, transparency, or quality—we take accountability and deliver the best service possible. We make needed innovations to fulfill our customers’ needs regardless of how simple or complex their logistic requirements might be. 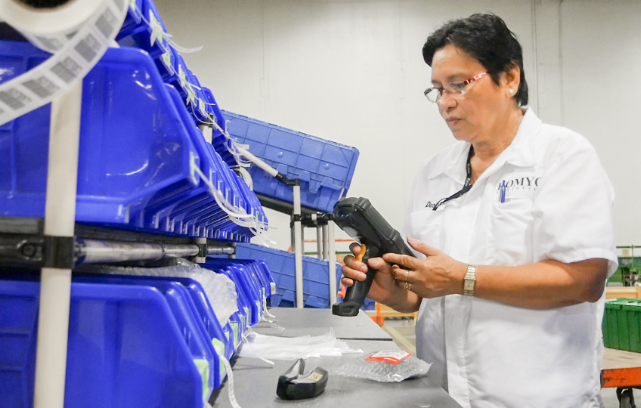 Above all, we’re proud to be recognized by our hardworking Associates and customers alike as inherently possessing a deep respect for every individual we encounter—all the while fostering business growth by exceeding customers’ expectations in efficiency, accuracy, and quality service. 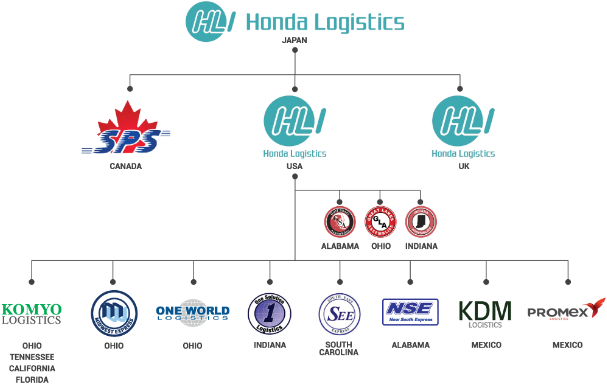 Komyo’s parent company, Honda Logistics North America, Inc.(www.hlna.com), is a wholly owned subsidiary of Honda Logistics, Inc. Here at Komyo Logistics, our management practices focus on the Japanese concepts of GENBA, GENBUTSU, and GENJITSU for conflict resolution. This philosophy is one in which we must go to the spot (GENBA) to truly understand the situation (GENBUTSU) in order to be realistic (GENJITSU) in resolving the situation or conflict. This practical management application adheres to the belief that the Associates most closely related to the job or process at hand will be the most qualified to identify additional methods for improving the ways in which their duties are performed. To truly understand the situation. Always implementing a safety-first mindset in all that our Associates do. Continually demonstrating respect for the individuals we serve and the Associates we employ. Consistently representing extraordinary excellence in customer service. Significantly imploring a challenging spirit and drive for innovation at all times. Constant responsibility for our actions and decisions, internally and externally. Dedication to maintaining and providing an atmosphere driven by substantial passion for our work. Unrivaled attention to detail and quality for both our goods and our processes. Imploring a genuine responsibility and respect for diversity among our Associates and in all of our day-to-day interactions. Continuously seeking to serve as a company that Honda Logistics North America, Inc. wants, and needs, to exist.